Year 5 – Althorp – kick off new writing unit with special visitor! 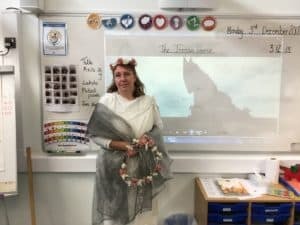 Althorp kicked off their new writing unit with a visit from Helen of Troy. She certainly looks as if she has been in the wars and is missing her Prince Paris.